The new V58 showcases dynamic exterior styling as well as offering the high performance synonymous with all V Class sports yachts. Fitted with twin Volvo D13-900 engines the V58 is capable of achieving speeds of up to 37 knots. The main deck saloon comes complete with a generous U-shaped sofa around a dining table with a sideboard unit with glass and bottle storage and refrigerator opposite as well as a 46″ LED TV on an electric raise/lower mechanism. Below decks her large hull windows let light pour into the beautifully crafted lower accommodation. She offers a well equipped galley and lower saloon with dining area in addition to three cabins, two of which enjoy an en suite. There is also an option to specify an additional cabin aft complete with single berth, storage and toilet. 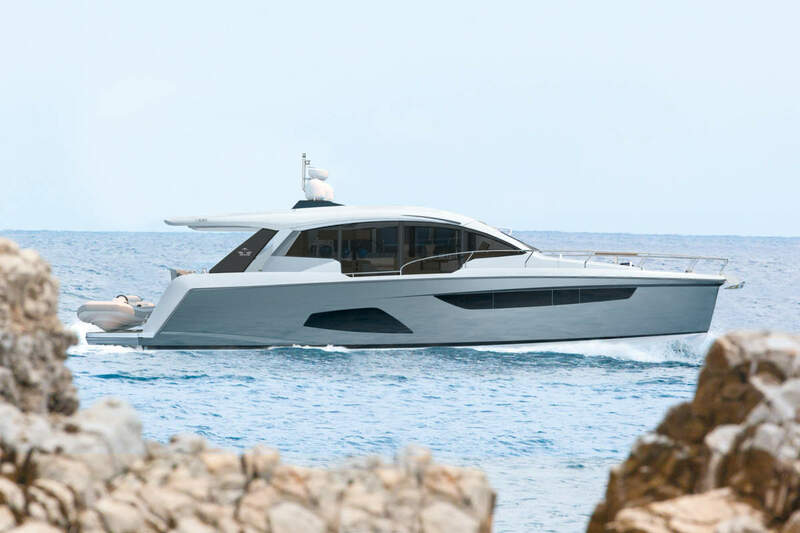 The V58 will make her debut appearance later this year, we bet the debut will be at Southampton’s Boat show in September, until then good job Princess Yachts on another great addition!